Can stories and case studies be used as tools for management inquiry? What motivated you to pursue this research? The accidental discovery of a book on Victor, the wolf-child found in the French region of Aveyron in 1798, prompted me to revisit the question of what makes us human, what constitutes a meaningful and fascinating case study and how case studies can be used as part of teaching and research agendas. This essay examines what attracts scientific interest to particular case study, whether that of a single unusual individual like Victor, a particular organization or a particular event, like the VW emissions scandal or the Brexit referendum, and discusses some of the strengths and limitations of the cases we use as researchers and also as teachers. I reflect on the similarities and differences between case studies and stories, arguing that they are governed by different rules of narration and different narrative contracts between authors and audiences. Both case studies and stories are capable of yielding considerable insights within the framework of a narrative methodology; in the hands of skilled instructors, they can be powerful instruments for disseminating knowledge. The essay examines how an aberrant of atypical case, like that case of Victor, can lead us to generalizations about the typical and asks what exactly constitutes a case? It probes the etymology of the word case that indicates a singularity, an individual occurrence, an event or a phenomenon. But a case can also be a container, a box, a briefcase, a suitcase. Like a briefcase, a case-study contains material that may or may not have value. Discovering such a case immediately announces a mystery – what does it contain, who does it belong to, what does it reveal? The value of a case study, like the value of the contents of a briefcase, rely on the ability of a subject to recognize them. An innocent eye may be mistaken in discarding a case as junk when in fact its content is priceless material and may be exploited for historical or other research or indeed for financial or business gain. Recognizing the value of a case requires a particular skill which not all researchers possess – many will miss the deeper significance or value of a particular case until somebody proves capable of unearthing it. Recognizing the value of a case is akin to recognize the potential uses of any empirical material including statistical materials, historical documents or even random observations. What has been the most challenging aspect of conducting your research? Were there any surprising findings? The most challenging part was the realization that the obscure case of Victor continues to be alive today. The case has not ended and there are meaningful questions whether Victor was indeed abandoned at birth by his parents (like other legendary feral children), or whether he was abandoned much later in life on account of some congenital condition, whether he was a noble savage or indeed a child-martyr. This led me to argue that case studies do not have clear-cut beginnings and ends and can be reopened whenever a new interpretation or new clues emerge, much like police or psychiatric cases. In what ways is your research innovative, and how do you think it will impact the field? Many scholars are turning to qualitative research methods in the social sciences, using cases studies as core elements of their research. While there are a few standard reference points for the use of case studies (including vignettes, illustrations etc.) I believe that there is a dearth of critical reflection on the meaning of a case, its relevance and lessons. For example, the choice of particular cases may be dictated by a researcher’s esoteric interests or by a political agenda. To what extent can such cases be used as the basis for theoretical generalizations? Often a case is treated as a story. But in telling a story, a narrator can alter significant details, omit, exaggerate or improvise for effect. Are the same narrative distortions acceptable in the researcher who uses a case? What constitutes an ‘irrelevant’ detail and what detail offers crucial keys to a case’s deeper significance and meaning? Stay up-to-date with the latest research from JMI and sign up for email alerts today through the homepage! As a rationale for what inspired us to get interested in this topic was the realization that the environmental crisis is in part caused by the emotional disconnection between human s and nature. Art is a vehicle for emotional connection. And, using art based values and methods we can emotionally reconnect people and organizations with nature. Art influences the sustainability of companies through architecture, aesthetics of work-spaces, design of products and services, design of work and organizational systems, graphic art in advertising, and arts-based training methods. Self-expressiveness and authenticity that are hallmarks of art can also enhance organizational productivity and employee motivation. Sustainable organizations need arts to enhance employee creativity, innovation, attract creative workers, improve worker satisfaction, design eco-friendly and innovative products and services. Arts also allows us to study those aspects of organizational sustainability which are a strength of aesthetics inquiry, such as sensory and emotional experiences often ignored in traditional management studies. This article explains the coexistence and interaction of aesthetic experience and moral value systems of decision makers in organizations. For this purpose, we develop the concept of “aesthetic rationality,” which is described as a type of value-oriented rationality that serves to encourage sustainable behavior in organizations, and to complete the commonly held, “instrumentally rational” view of organizations. We show that organizations regularly exhibit not only an instrumental rationality but also an “aesthetic rationality,” which is manifested in their products and processes. We describe aesthetics, its underlying moral values, its evolutionary roots, and its links to virtue ethics as a basis for defining the concept of aesthetic rationality. We examine its links with human resources, organizational design, and other organizational elements. We examine these implications, identify how an aesthetic-driven ethic provides a potential for sustainable behavior in organizations, and suggest new directions for organizational research. The full article is currently free to read for a limited time, by clicking here. Don’t forget to sign up for email alerts so you never miss the latest research. Why Do Women Leave Science and Engineering Fields? The author uses the 2003 and 2010 National Survey of College Graduates to examine the higher exit rate of women compared to men from science and engineering relative to other fields. The author finds that the higher relative exit rate is driven by engineering rather than science, and that half the gap can be explained by the relatively greater exit rate from engineering of women dissatisfied with pay and promotion opportunities. Family-related constraints and dissatisfaction with working conditions are found to be only secondary factors. The relative exit rate by gender from engineering does not differ from that of other fields once women’s relatively high exit rates from male fields generally are taken into account. You can read “Why Do Women Leave Science and Engineering?” from ILR Review free for the next two weeks by clicking here. Want to know all about the latest research from ILR Review? Click here to sign up for e-alerts! Organizational Research Methods seeks submissions for a feature topic on Neuroscience in Organizational Research. This feature topic will be guest edited by Micah Murray and John Antonakis, both of Lausanne University. In many areas of the social and behavioral sciences, neuroscience has emerged as one of the dominant conceptual and methodological frameworks for studying human behavior. 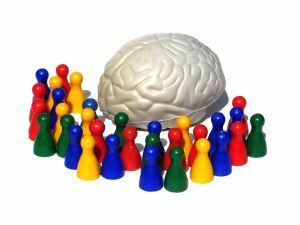 Although it originally gained traction in the psychological sciences, the neuroscience paradigm has since spread to other areas in the social sciences including economics, marketing, and finance. However, with a few notable exceptions, researchers in management and applied psychology have been slow to embrace neuroscientific models and methods (for a few illustrative exceptions see Bagozzi et al., 2013; Balthazard, Waldman, Thatcher, & Hannah, 2012). One explanation for this reticence, may be that researchers lack an appreciation for the diversity of neuroscience methods that are available and how these methods might be incorporated into their science. The purpose of this feature topic is threefold. First, we intend to expose organizational scholars to the broad array of neuroscience methods and how these methods might be used to test substantive research questions (both basic and applied). Second, we intend to provide illustrative examples that empirically demonstrate the value-added nature of these methods. Finally, because no method or set of methods are without limitations, we intend to provide critical reviews of these methods so that their strengths and limitations may be better understood by organizational scholars. Organizational Research Methods will be publishing a two-part Feature Topic devoted to Neuroscience in Organizational Research. The first part will consist of invited papers while the second part consists of a call for papers that will extend what is presented in Part I. Proposals of no more than 5 pages double-spaced should be emailed to both guest editors anytime prior to September 30, 2015. For more information, including topics which have been commissioned for Part 1 and contact information, click here. Want to know about all the latest news and research from Organizational Research Methods? Click here to sign up for e-alerts! Listen to the Latest Podcast from Journal of Management! 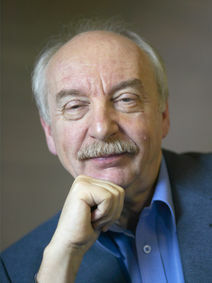 In the latest podcast from Journal of Management, Fred Oswald, Associate Editor of Journal of Management interviews Gerd Gigerenzer about his article co-authored with Julian N. Marewski entitled “Surrogate Science: The Idol of a Universal Method for Scientific Inference.” The article appeared in Journal of Management‘s Special Issue Bayesian Probability and Statistics in Management Research. Like what you hear? Click here to browse more podcasts from Journal of Management and here to subscribe to the SAGE Management and Business podcast channel on iTunes. You can also sign up for e-alerts and get notifications of all the latest research from Journal of Management sent directly to your inbox! Gerd Gigerenzer is Director at the Max Planck Institute for Human Development and Director of the Harding Center for Risk Literacy in Berlin. He is former Professor of Psychology at the University of Chicago and John M. Olin Distinguished Visiting Professor, School of Law at the University of Virginia. He is also Batten Fellow at the Darden Business School, University of Virginia, and Fellow of the Berlin-Brandenburg Academy of Sciences and the German Academy of Sciences. Awards for his work include the AAAS Prize for the best article in the behavioral sciences and the Association of American Publishers Prize for the best book in the social and behavioral sciences. His award-winning popular books have been translated into 18 languages. Gigerenzer has trained U.S. federal judges, German physicians, and top managers in decision making and understanding risks and uncertainties. Fred Oswald currently serves the Rice University Department of Psychology as Chair, and he is a Professor in the Industrial/Organizational Psychology program. His published research addresses the reliability and validity of tests administered to applicants in organizational, education and military settings. 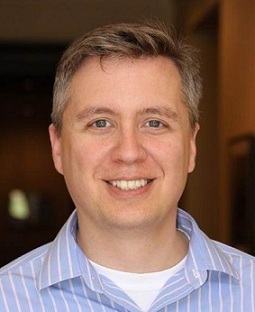 Substantively, his work deals with defining, modeling and predicting societally relevant outcomes (e.g., job performance, academic performance, satisfaction, turnover) from psychological measures that are based on cognitive and motivational constructs (e.g., cognitive abilities, personality traits, situational judgment tests, job knowledge and skill, and biographical data). His statistical work in meta-analysis, structural equation modeling, and adverse impact also informs personnel selection issues and psychological testing in the research, practice and legal arenas. When I was pursuing my PhD in Organization Development, I was very inquisitive about the Appreciative Inquiry process. For years, OD has focused on a problem seeking approach and the positive approach to organization change made me curious about its application, whether it works, why it works, how we can improve its theory and application. When I read more I found that Appreciative Inquiry is more than just positive and that it changes organization’s mindset and increases employees capability for renewed social action. I was working in a transit organization which was undergoing a significant change. The leaders had a desire to initiate an employee recognition program to increase morale in the organization. I used the employee recognition initiative as a basis to conduct my field experiment in appreciative inquiry. I was interested in understanding whether appreciative inquiry was more generative than problem solving. It was fascinating to lead the groups through the process. Participants were engaged in all the groups as this was the first time such an initiative was implemented in the organization. However, the ideas emerging from the appreciative inquiry sessions were much more interesting and applicable. This was apparent from not only the quantitative results, but even the qualitative open-ended questions asked during the focus groups corroborated the findings. The research has several implications to both academicians and practitioners. This is first time that generativity has been conceptualized and measured in appreciative inquiry. Also, given that a generative approach to appreciative inquiry results in compelling and practical ideas in a limited time frame and creates a more favorable mindset towards changes makes it an important study for organization leaders who are attempting to get real employee engagement in any change initiative. You can read “Comparing the Generativity of Problem-Solving and Appreciative Inquiry: A Field Experiment” from the Journal of Applied Behavioral Science for free by clicking here. Don’t forget to sign up for e-alerts and get all the latest news and research from the Journal of Applied Behavioral Science sent directly to your inbox! Questions? Comments? Feel free to contact Dr. Paranjpey at neelimaparanjpey<at>gmail<dot>com! 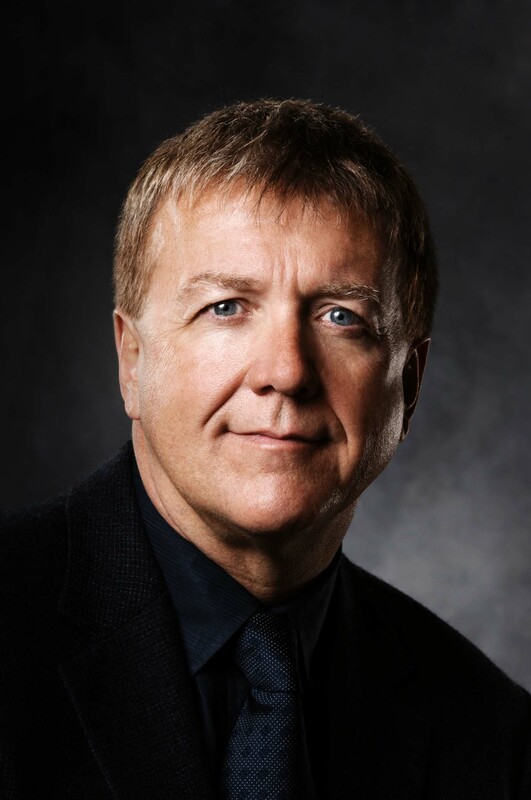 Gervase Bushe is Professor of Leadership and Organization Development in the Beedie School of Business at Simon Fraser University. He has 30 years of experience in a wide range of organizational change and development projects and is internationally known for his expertise in appreciative inquiry, a method for transforming organizations by focusing on what works. Neelima Paranjpey, PhD is an experienced Talent Management and OD professional who specializes in providing positive change solutions to improve and grow organizations. 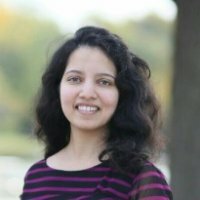 She currently works with Vaya Group, Chicago as an Assessment & Development Consultant. She earned her PhD in Organization Development from Benedictine University and MS in I/O Psychology from Illinois Institute of Technology.